They are really good and their customer service is excellent. They do everything on time. I like the way they handle their customers and they are accurate with their quotes. I would tell people that, if they use Auto Techies, they will have finally found an honest mechanic. They always stand behind their work and never try to sell you something you don't need. I like that they complete the work when they say they will, always have superb customer service, and answer all of our questions about what's going on with my car. They do very good work, are very friendly and honest, and I am very satisfied with everything about them. 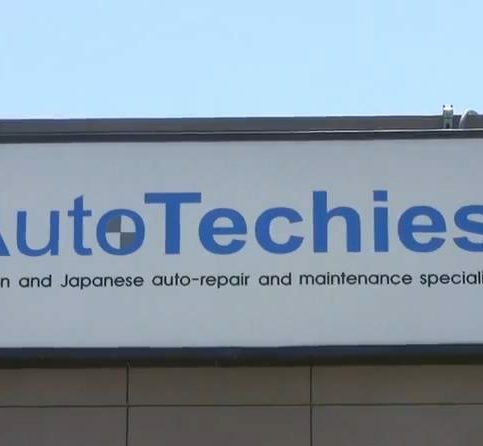 Auto Techies provides a complete range of auto body and repair services for all types of vehicles at its state-of-the-art Fremont facility. The company has the training and equipment to handle everything from minor damage repair to major mechanical work, and it works directly with insurance companies to streamline the claims process for its customers. 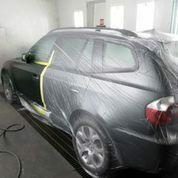 Auto Techies’ factory-trained technicians all have previous experience at dealerships like BMW and Mercedes-Benz, and they’re trained to follow insurance guidelines and use environmentally-friendly, water-based paint systems to ensure the best results. “Our technicians always do what’s best for the safety of each customer’s vehicle,” affirms Mr. Shah. 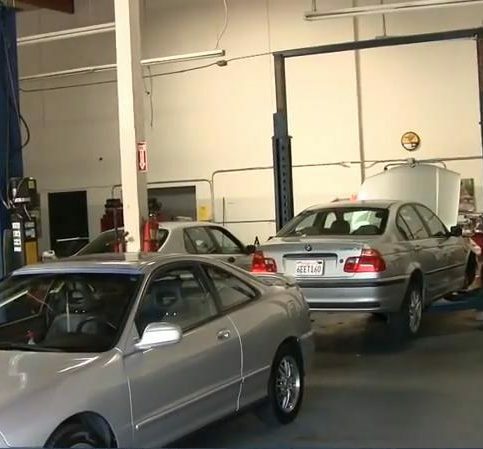 Auto Techies has been providing complete auto repair and maintenance services for German and Japanese vehicles at its state-of-the-art Fremont facility since 2001. 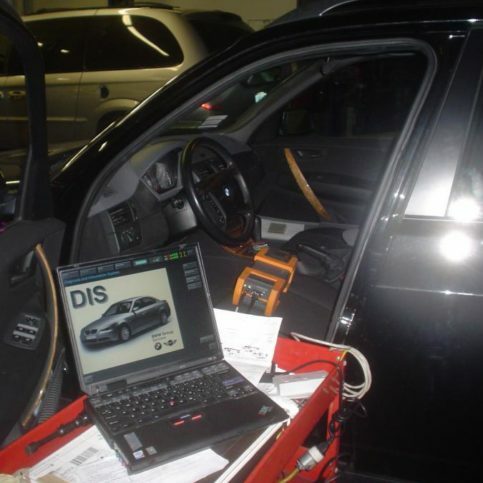 The company handles everything from routine oil changes to complex electrical system repairs, and it employs an extensive collection of scanners, computers and diagnostic tools that allow it to quickly and accurately diagnose all types of car problems. It also installs OEM (original equipment manufacturer) parts whenever possible and purchases them directly from the manufacturers, which minimizes costs for customers. Many auto repair shops have limited experience with electronic systems, but that’s exactly where Auto Techies thrives. Mr. Shah has an electronics engineering degree and spent several years setting up service and support systems for Fortune 500 companies before switching his focus to the auto repair industry. “As modern vehicles become more electronic, I’ve been able to utilize my knowledge base to gain a more in-depth understanding of my customers’ cars,” he says. Routine maintenance is the key to ensuring your car passes its vehicle emissions and smog tests. 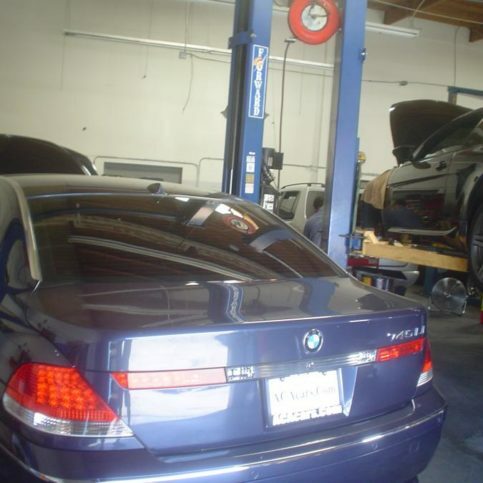 Most vehicles in California are required to undergo and pass smog testing. Even though this can be a hassle, there are a few things you can do to help ensure your car passes the test. Sometimes this is as simple as a routine maintenance tune-up, which includes cleaning or replacing the spark plugs, ignition wires, air filter and fuel filter. Fuel filters and fuel injectors can become clogged over time and emit a stream of fuel instead of fuel mist. Other parts that may need to be cleaned are oxygen sensors and the catalytic converter, which can become coated with carbon. Products are available that will clean your car’s fuel injection system and reduce carbon in the catalytic converter and oxygen sensor. 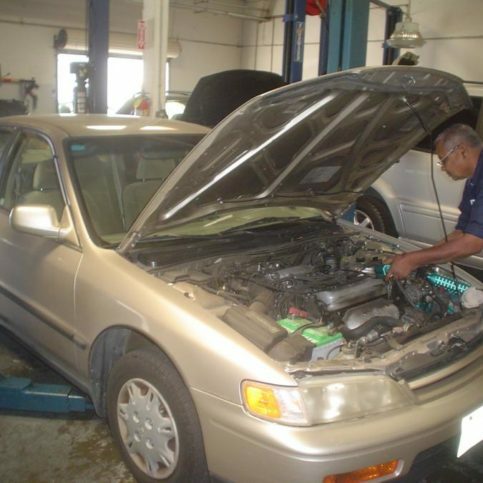 Some auto repair shops also offer these services to restore your fuel injection system. Q: How much will it cost to get my car repaired? A: It depends on the repair that needs to be done. We’ll check your car initially for the problem. That will give us the information we need in order to tell you what the repair will cost. A: Once we’ve looked at your car and determined what’s wrong, we’ll be able to provide an expected completion time. Q: Is it worthwhile to repair my car? A: Customers often ask us if they should sell their cars or keep and repair them, but it really depends on the problem. In these situations, we’ll sit down and do a cost analysis with the customer. We’ll go through the car’s historical data if it’s available, and we’ll see how much they’ve spent over the last several years and compare that to the cost of a replacement car. This type of analysis really helps our customers decide what will make the most sense for their situations. Q: Can you repair my “check engine” light? A: We perform diagnostics, so we can determine why your ‘check engine’ light is on. The light indicates that something non-critical is failing inside the car—you won’t get stranded because of the problem, but it still needs to be addressed. Plus, the State of California has mandated that any time a car’s ‘check engine’ light is on, it can’t pass a smog test. A: Yes, we offer free pick-up and drop-off from your home, work or nearby BART stations. Q: Do you honor warranties or work with insurance companies? A: We honor most extended warranties and bill directly to insurance companies whenever possible. In contrast, a repair shop you choose independently will work for you rather than your insurance company, which means your satisfaction will be their foremost concern. In this scenario, you’re much more likely to receive high-quality service, workmanship and parts, as well as a better overall experience. For example, while “preferred” shops often use generic parts to save money, most independent repair shops insist on using original equipment manufacturer (OEM) parts to ensure the best fit, finish and overall quality. Since you’re their customer, they’ll go the extra mile to deliver the best possible repair. So, which do you think will be the better choice—the shop that’s beholden to your insurance company or the shop that’s concerned with your satisfaction? Either way, the choice is up to you. The most important thing to remember when jumpstarting a vehicle is that once a pair of clips is connected to a battery, the opposite pair of clips must not touch each other. Since one clip is positive and the other is negative, if they come into contact, it can cause electrical sparks or even electrocution. A good safety technique is to clamp one clip onto the opposing cable, which will ensure the two clips cannot touch. Additionally, to protect your eyes in the instance of electrical sparks, you should always wear safety glasses when jumpstarting a car. Another crucial point is that each clip must be attached to the appropriate corresponding battery terminal (i.e. negative to negative, positive to positive). Typically, these will be denoted by a “+” or “–” symbol and color-coded: red for positive, black for negative. If you accidentally mix up the negative and positive clips and attempt a jumpstart, it can short out the car’s electrical components. Begin the jumpstart process by connecting one end of the jumper cables to the dead battery, starting with the positive clip and ending with the negative one. Next, do the same with the working battery—again, make sure to keep the opposing clips separate. Be aware that the negative clip acts as the ground, which means you can connect it to any metal component of the car and it will still work. Once you’ve connected the final clip, the electrical circuit between the two vehicles is complete. The next step is to start the car with the working battery. Allow it to run for 30 to 60 seconds in order to charge the battery of the other car. After this short interval, attempt to start the other vehicle (it may take a couple of tries). Once you’ve succeeded, disconnect the cables in the reverse order of how you connected them, starting with the negative clip on the second car. 1. When using aftermarket parts for auto body work, the fit and finish is never perfect. For example, if you’re having a panel replaced with an aftermarket part, the lines will usually be off between the replacement panel and the existing panels adjacent to it. In contrast, original parts typically fit and match perfectly because they’re the exact same parts as those already on your vehicle. 2. Aftermarket parts (especially less expensive ones) are typically composed of cheaper metals and plastics, and they’re also made to lower standards than OEM parts. Not surprisingly, aftermarket parts rarely last as long as OEM parts. For example, it’s common for cheap aftermarket brakes to wear out in one-third or even one-half the time it would take for OEM brakes to wear out. When deciding between OEM and aftermarket vehicle parts, you should make your decision based on both price and what you’re looking for in terms of performance. In most cases, it’s worthwhile to invest extra money toward OEM parts to ensure the best fit, finish and overall quality. FREMONT — When it comes to faded or otherwise damaged auto paint, most vehicle owners assume it’s an easy fix. In some cases, however, what appears to be minor paint damage is actually something more complex: damage to the clear coat. 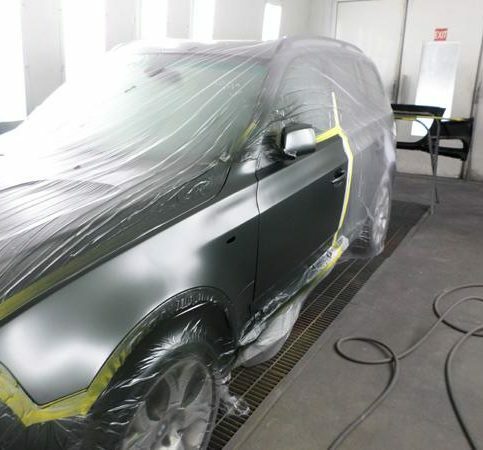 Unlike damaged paint, clear coat damage can’t be buffed out—it requires a more extensive repair. No one likes finding out that what they assumed was minor damage is going to require a costly repair, but for those whose cars are less than 10 years old, there may be a silver lining. Today, almost every car sold in the United States comes with a 10-year paint protection warranty. If your car is still under warranty, your dealership will be obligated to repair the damage to its clear coat free of charge. Refer to your owner’s manual to see the terms of the warranty and determine if your car is still covered. If not, ask your auto body technician about your options for repairing the damage. Diamond Certified Expert Contributor, Snehal Shah: One of the questions I get more frequently than not is what is the difference between aftermarket parts and original or OEM parts. Well, there are some key differences between original and aftermarket parts. When using it for auto body work, the fit finish is never perfect. The lines are off between the two panels – adjacent panels. And also remember, the materials that are being used, less expensive aftermarket parts, means that the quality of the metals and plastics that are being used in that are not as high standards as the original parts. Original parts will fit better, will last longer, and work better for you. In auto mechanical parts such as brakes, the pads and rotors that you get less expensive from aftermarket, well there’s a reason for that. The quality of the materials again used are not as high standards as the one that are used from your manufacture of the car that you’re obviously driving. Some of the key differences in that is the longevity again, for example on brakes, when you’re using brakes, you know they may wear out in one-half or one-third the time that it would take for original parts. So while it may seem like you’re getting better deal, you’re probably not getting the better deal. But again, it’s going to be a decision you’re going to have to make based on the price and performance that your needs are. Diamond Certified Expert Contributor, Snehal Shah: When trying to decide where to go after you’ve been involved in a collision and you’ve contacted your insurance company, you have two choices. 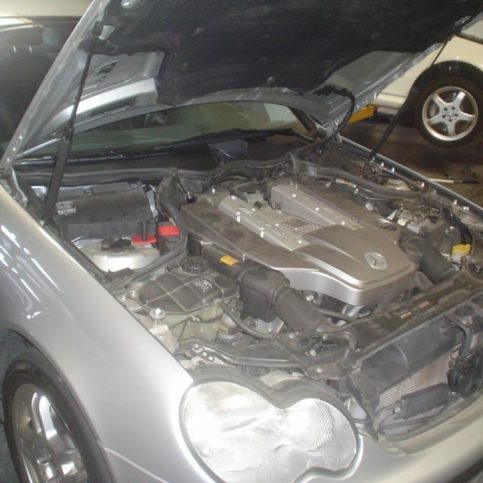 One is to take it to a repair facility that your insurance company directs you to. Another is taking it to a shop that you know and have worked with, or you’ve done some background checks on through Yelp or other online reviews and believe that’s the better shop for you. Which one, and why do you choose the shop to go to? Let’s go over a couple of things that are important for you to understand before you make that decision. One, if you’re going to a shop that your insurance company has directed you towards, you need to know that that shop is not working for you, but they’re working to make the insurance company happy. The shop you choose and decide to take your car to is working to make sure you are happy with the quality of the workmanship that was done, and in the mannerism that it was done, the parts that were used, such as original. Most independent repair shops that are away from the insurance companies will always insist on using nothing but original parts to replace on your car. And the reason is simple. The fit, finish, the workmanship and the safety is very important and they want to make sure that you are getting the best for what you’re supposed to get out of that. The company that you – or the repair facility you take it to that’s, you know, controlled by your insurance company, their goal is to make sure that the cost is the most important part of the equation, not necessarily the workmanship, the fit, finish and the quality of the parts that are being used in that. Therefore it’s very important for you to understand which one of the two directions – or which one of the two shops you choose from the very beginning. When you call in your insurance company, get your claim number, always tell them you will have a shop in mind that you want to take it to. It is for your best interest. Diamond Certified Expert Contributor, Snehal Shah: Okay, whenever you’re jump-starting your car, first think you want to do is make sure the two cables are not in position to touch each other. So what I like to do is just kind of put a clamp around one of the two cables, holding the other one, so this way they’re never touching each other. And I’m just going to set it aside, close to the car that’s not starting. And I’m doing the same thing for the other side as well. Again, this way you’re sure that they don’t touch each other, the positive and the negative, and short out any part of the two cars computers and electronics that are in there. All right? And don’t forget, got to always wear your safety glasses. I’ve got safety glasses right here, just in case. Want to protect our eyes. Okay, so I’ve got that. I’m going to physically line them up a little bit, it makes my job a little bit easier. Okay. Whenever you’re doing a jump-starting, first thing you want to do is you always connect the positive on the car that is dead. Or the one with the battery that needs to be jump-started. As you can see, I’ve got red cables, and that’s going to line up perfectly with the red cable and the cover that’s on this car. And the other one is black, and that lines up perfectly with the black on the car’s battery terminal and the cable that’s in there. Okay, now I’m going to go over and do the same thing on a car that I’m going to get the juice from. This is the one with the working battery. 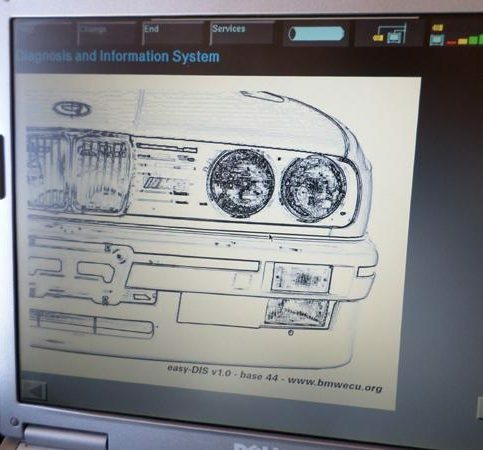 On this particularly car, it’s a BMW that has ports that are designed specifically for jump-starting. If your car has it, you definitely want to use that if at all possible. So I’m going to go with the positive, red here, and if you go look down there it actually has positive red connector also on it. The second half is the negative. This one is your ground. You can use this at any point on the car that has metal. And it does not need to be the cable. On this particular case we’ve got a – what’s called an engine hook, we’re just going to hook up the negative right there. And that is going to complete the circuit. Now what I’m going to do is go and start the car that is working of course, because we want to make sure we get the full power to the car’s battery that is not working. Alright, so we’ve already got the key in here so we’re just going to go ahead and start the car. Okay. Now we’re going to let it charge for about thirty seconds to a minute. Okay it’s been about thirty seconds to a minute, and what I’m going to do is just going to go ahead and try and start this car. Boom. Right there. It’s ready to go. Okay, next thing I want to show you is how to disconnect the cables because that’s also just as important, we should do it in the same reverse order. Let’s go and take a look. Alright so, just the same way as before we’re going to undo the negative first, except on this time it’s in reverse order. So negative first, and then we’re going to take off the positive. And again, for safety, I always like to put this so that I don’t short out the car that was working good, so we’re going to do this and walk over to this car and do the exact same. We’re going to do the negative first and I’m going to clamp it on here, and then undo the positive. And carefully I’ve removed the cable, put it back in my storage and we are done. FREMONT — Host, Sarah Rutan: In some cases, visible damage to a vehicle’s paint job isn’t as simple to fix as it may seem. Today we’re in Fremont with Diamond Certified Expert Contributor Snehal Shah of Auto Techies to learn more. Diamond Certified Expert Contributor, Snehal Shah: Hi, a lot of times I’ll get customers that come in here looking for – if we can buff something simple like this out that’s damage to the paint. And the answer is no. This cannot be buffed out. What this is, is actually to the clear coat. Which is the final coat that’s sitting on top of your paint. One of its main function is to actually protect you – the paint job from the harmful UV rays. Many times something like this can be handled actually by your dealership because this, uh, would qualify under the ten year paint protection warranty that comes standard with almost every car sold in US. So to fix it right, if it is older than ten years old, go to a local body shop and have them take a look at it or if it’s less than ten years old I would definitely refer back to, uh, owner’s manual, take a look a paint protection warranty and go see a local dealership to help you get the shine back into your car. Auto Techies : Average 8.9 out of 10 based on 226 unique customer surveys of customer satisfaction. I like the owner Snehal. He was very upfront, hands-on, and he made sure everything went well with my vehicle. I like that it is a local business, and the owner gets involved. The owner is really involved, the shop is clean, the work is quality, and they are top notch. They are 10's across the board, top-shelf people, who do top-shelf work. They are good. I would recommend others use them. They are fast, but still keep amazing quality of work. Those guys did a great job. I would recommend people take their car there. I would highly recommend people have Snehal look at their car or project. He knows a lot about body work and other things that may need to go into it. He was just very confident about what needed to be done and the outcome. I highly recommend them. The owner is friendly and he not only has a great staff, but has a good comradery with his customers. He doesn't mind sitting down to get to know you. I would say the receptionist is very educated. She introduced me to the owner. They have become like my family. It's a great family atmosphere. They explain everything upfront and look out for your best interest financially. I have no clue what I would say. I had a great experience, and they are a good shop. I don't know. They fixed a small back fender that got smashed in. It was simple, but they did a great job. They have a great office atmosphere. Everyone really cares about each other, and they do amazing work. They sent updates everyday on where the car was at, and they would send me updated ETA's if needed. Use them, because they are great. I wont go anywhere else. They are quick and do really good work. It's like an art form to them. They were able to get my car fixed within the time that I needed, and everything looks amazing. The car looks brand new. They were quick, professional, and got my car back to normal. It actually looks better now than it did before all of this happened. They did a full detail on the car, so a lot of scratches came out that were not part of the damage. Snehal is a great guy. He made sure I understood everything that would happen and the time frame. His guys and gals do good work. They were great. I liked them a lot. They did a great job on my car. They were friendly, and they treated me like I was a customer that they appreciated. I would recommend that others use them. They did a good job for me. They were very professional and had the car done quickly.